The first collaborative production by Jhalapala and ThinkArts, this play is a beautiful story of friendship and appealed to children and adults alike in its premiere run in July 2018. It was the perfect Christmas vacation for Joy. That is, until Akash moved in next door and became very popular even with Raja who was Joy’s best friend. This of course made Akash the top member in Joy’s Enemy List. Luckily Granny had a surefire way to get rid of enemies; Enemy Pudding! Joy was thrilled ……. but one of the conditions for the recipe to work was that he would have to spend one entire day with his arch enemy and that too, without any fighting. Enemy Pudding serves up a sweet lesson in the difficulties and ultimate rewards of making new friends. 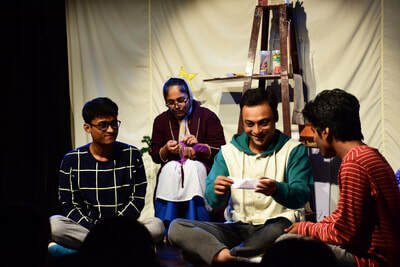 Enemy Pudding has been performed in English as well as in Bengali (as Shatrrudaman Payesh) and has witnessed consistent full housesby children who have come all the way from various schools and NGOs. The response has been overwhelming to say the least. With the inspiring feedback received so far, ThinkArts, along with Jhalapala, is now keen to take this show to schools outside Kolkata as well ,in order to reach a larger number of children. 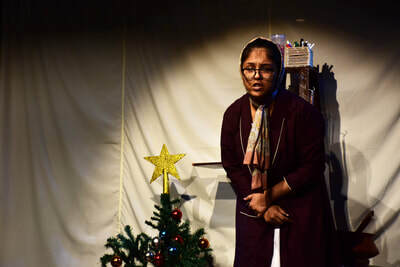 Watching theatreis said to increase vocabulary, encourage communication, improve imagination and curiosity among children, besides lengthening attention span and several other intangible benefits that an engagement with the arts offers. A thoughtfully designed activity packwith Reading & Writing activities for students will also be provided. Teachers may later use those in the classroom. Maximum 3 showspossible in a day with a break of 45 mins between shows and a set up time of 1 hour before the first show. 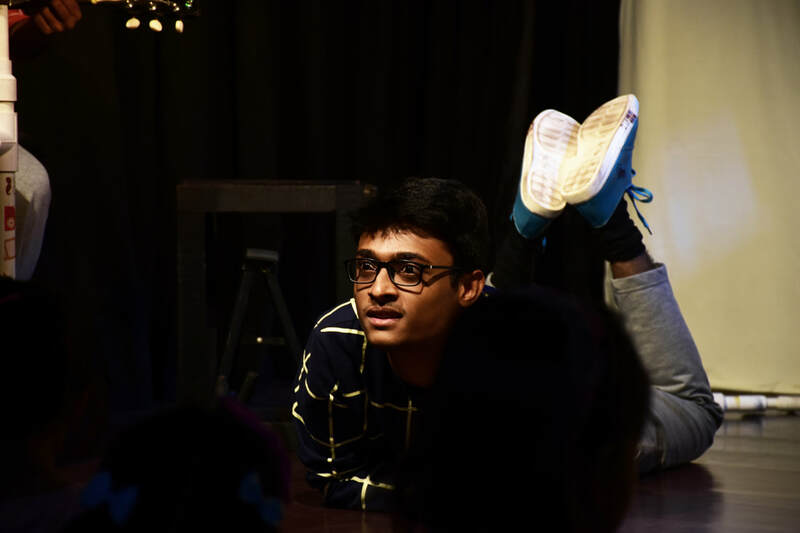 Jhalapala is a Kolkata based theatre group for children aiming at making theatre activity a source of creative joy. Founded in 2nd November 1996, Jhalapala has sailed through a long and exciting way. 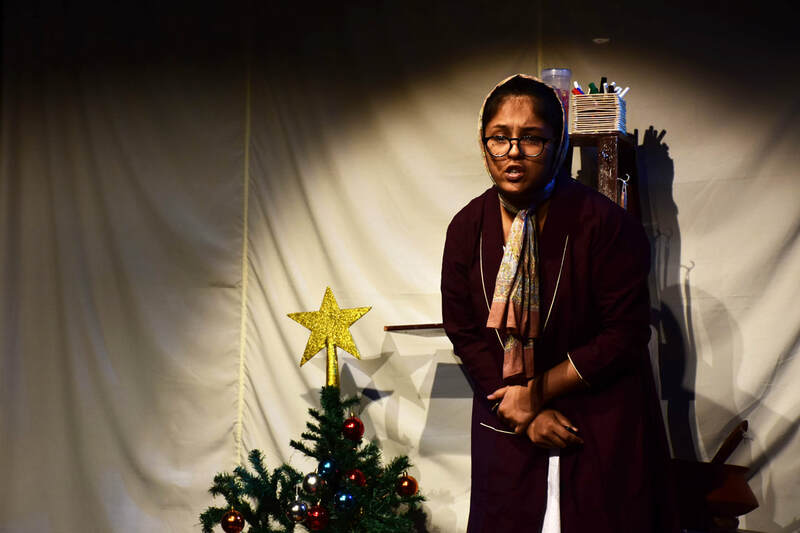 Jhalapala believes – ‘Theatre is a trusted mirror of human history and life.’ Through its theatre activities with children, Jhalapala not only tries to capture that reflection but also aims at reconstructing a new enthusiasm for life.